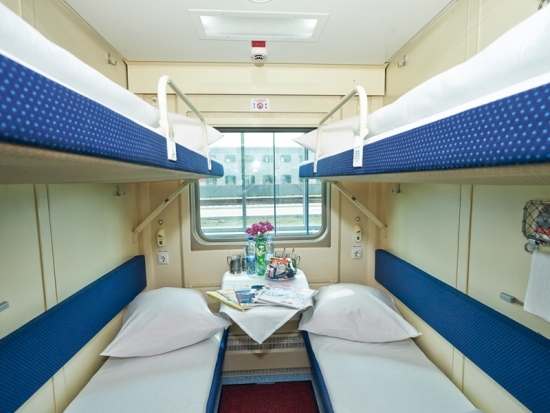 There are different types of sleeper trains in Russia, which are used for long-distance trips. 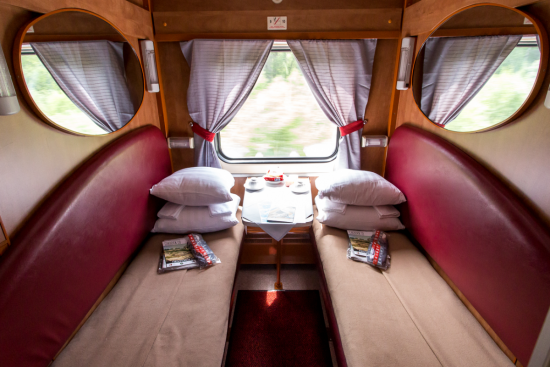 Let's have a look at the most common sleeper trains, one of which you could use for travelling through endless landscapes of Russia. 1. 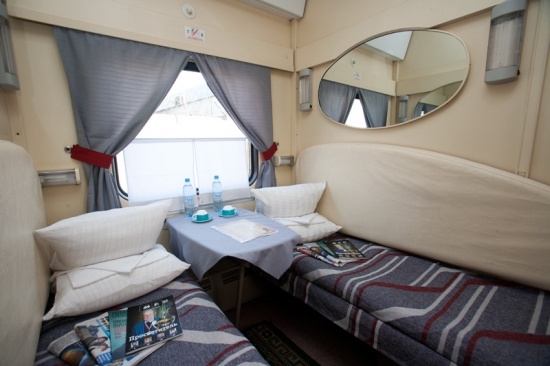 First class, also known as "SV" (in Russian – "СВ") or "Luxe", is the most comfortable type of carriage. 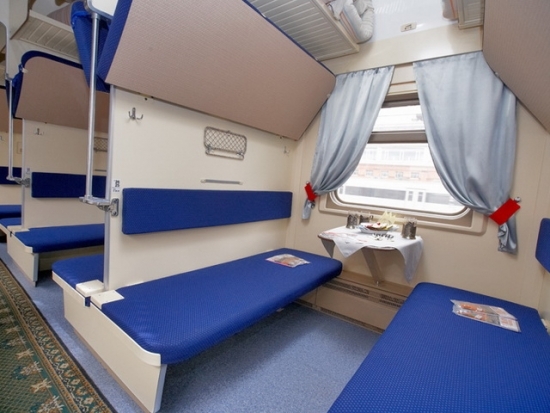 Usually a first class carriage has 9 separate cabins and 2 toilets. 2. Second class is known as "coupe" (in Russian - "купе"). 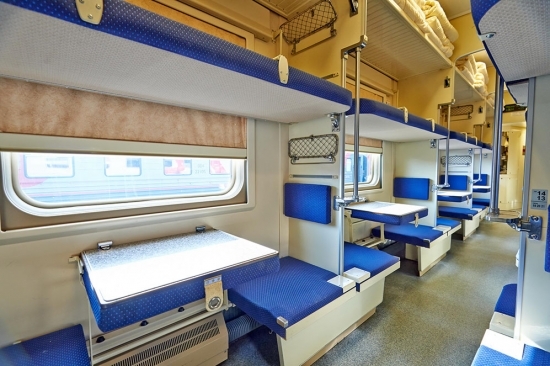 The second class carriage consists of 9 separate quardruple compartments and 2 toilets. 3. Third class is known as "platskart" (in Russian - "плацкарт"). It is the cheapest option. 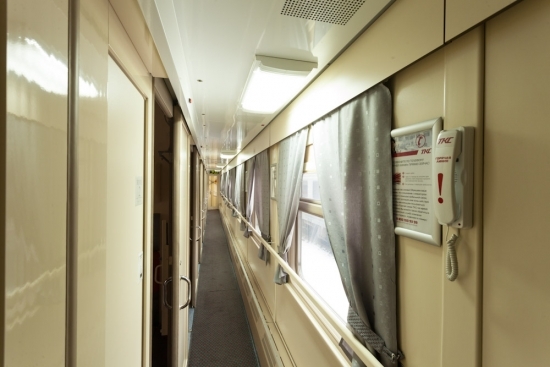 The carriage consists of 54 bunks, arranged in bays of 4 on one side and bays of 2 on another, with an aisle between the two sides. At the ends of the carriage there are toilets. There is no privacy in such type of carriage, so travelling in the third class is a choice of those who value economy more than comfort. Storage space (built-in shelves over the door, boxes under the lower bunks, racks on the wall beside each bunk).